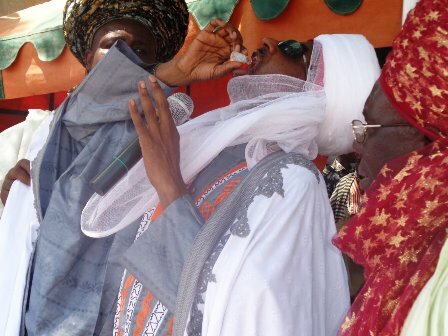 The Emir of Kano, Sanusi Lamido Sanusi administering an oral polio vaccine to himself in 2014. Nigerian Government has restated its determination to engage traditional leaders to promote vaccination and boost the nation’s primary health care system. 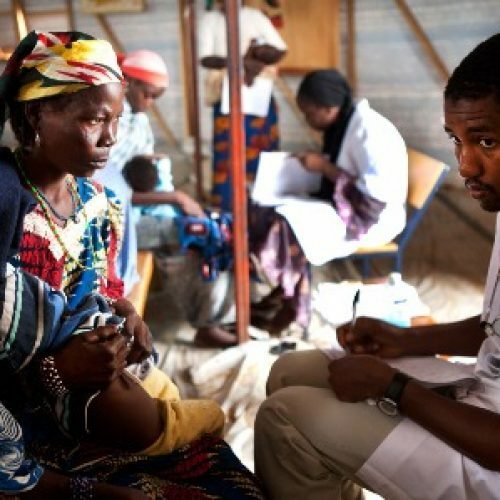 At a meeting of leadership of National Primary Health Care Development Agency (NPHCDA) with Northern Traditional Leaders Council on Primary Health Care in Abuja on Monday, the government said over 4.3 million children who have missed previous vaccination exercises in the country would be reached, with the help of the traditional leaders. Addressing the gathering, Executive-Director, NPHCDA, Dr Faisal Shuaib, said apart from supporting immunization, the meeting was convened to further request the support of traditional leaders for primary health care in the country. “It is the role of the traditional leaders to drive primary health care services in conjunction with their community members. The community engagement framework that we are presenting today is a direct result of input we’ve gotten from traditional institutions, from community members, from development members around how we can strengthen immunization, strengthen routine immunization in a way that every member will get vaccine they need, every child will get primary health care that they need in a way that no child is left behind,” Shuaib said. He said the agency was not starting afresh, but building on successes it had recorded. 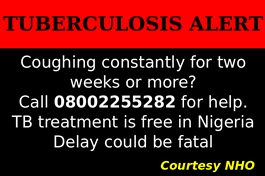 “We are here over 25 months with no case of polio virus reported in Nigeria. Traditional leaders have been central in Nigeria to this achievement. And, as part of the successes achieved in polio, we are replicating this in routine immunization, so we can get all the children in Nigeria immunized against vaccine-preventable diseases. “The very presence of traditional leaders in this meeting is a clear signal that traditional institution, religious institution that they belong are aligned with the fact that our vaccines are safe, they are potent and should be made available free of charge to all members of their communities. Speaking on behalf of the traditional leaders, Shehu of Bama, Alhaji Kyari Umar, urged people of the region to make whatever sacrifice needed to secure the future of children in the region. It was learnt at the meeting that vaccinators would take immunization campaign to six states including Borno Adamawa, Katsina, Ssokoto and FCT. “The dramatic improvement in polio in Nigeria, which has been sustained today by NPHCDA has resulted in the absence of wild polio virus in the country for 25 months. This positive development is not sudden, routine immunization remains very low in our communities, with many children dying of vaccine-preventable diseases. Northern Nigeria is blessed with the traditional leadership system that has deep-rooted influence in the minds of our people. Traditional and religious leaders have continued to serve the interest of our people, and responding to their welfare and needs,” the Emir said. He called on members of the council to use their platforms to improve on community engagement for care-givers to improve routine immunization uptake and improvement of other health-seeking behaviour of their people. He said the council had demonstrated considerable improvement in the acceptance of vaccine and had sustained ownership of participation and other public health interventions. “There is therefore no doubt in my mind that under the leadership and guidance of Northern Traditional Rulers, our communities will attain significant improvements in routine immunization coverage,” he stated. He commended leadership of the NPHCDA for various strides and innovations it has brought into primary health care system in the country. “The northern traditional leaders will continue to work with these platforms and supporting initiative aimed at improving the lives of our people. We will exercise oversight of the implementation of community engagement of the Sultanate Emirate, districts, communities and wards,” he added. He promised that the group would mobilize communities and their leaders to accept routine immunization and continue to support it. 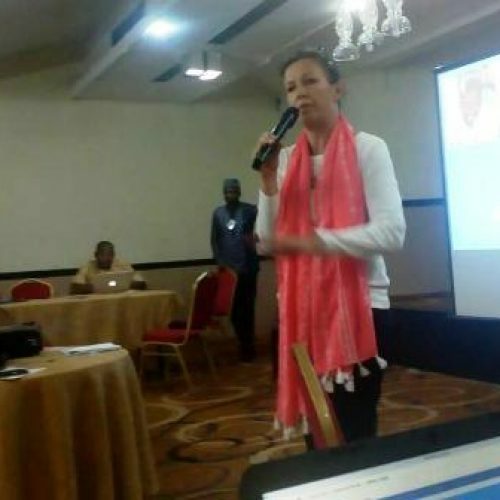 “This emergency meeting is therefore convened to enable us review the harmonized version of community engagement framework and the guide on how to improve it with a view to meeting the demand for immunization services, and consequently defeat the polio scourge and related diseases preventable by immunization,” furthered. Nigeria hopes to attain polio-free certification by the end of 2019 from the World Health Organization. 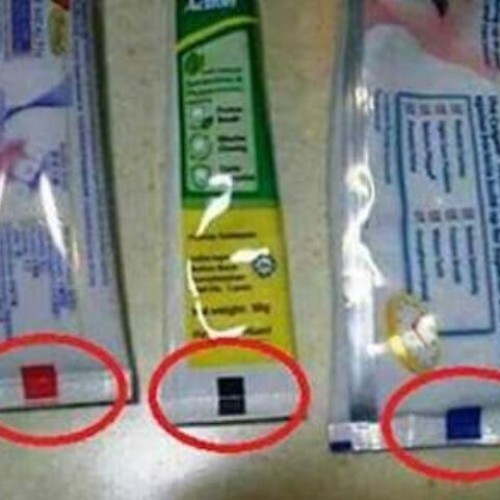 It is one of the three polio-endemic nations in the world; the other two being Afghanistan and Pakistan. Nigeria loses many of its children to vaccine-preventable diseases; some of which are measles and meningitis. Borno and Yobe states, which have been epicentre of Boko Haram terrorists are areas populated with majority of unreached children for vaccination in the country.